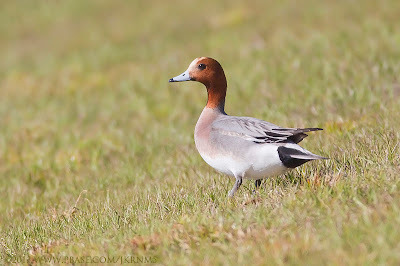 Last month I had dipped on getting the Eurasian Wigeon wintering at Merrit Island and did not expect another shot till next Fall. Until I found were Vince McGrath had posted about a sighting of the species in Cape Coral. 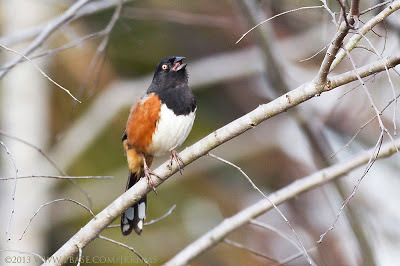 We only see a very few of the species in Florida and having one appear in our backyard was a very unusual occurrence. Can only speculate were he came from and what is he doing here. Seems Ruth Parks came across the bird yesterday and who knows how long it'll hand around. So following Vince's directions I easily located the bird. It was sharing a small pond with some mallard hybrids and Mottled Ducks. 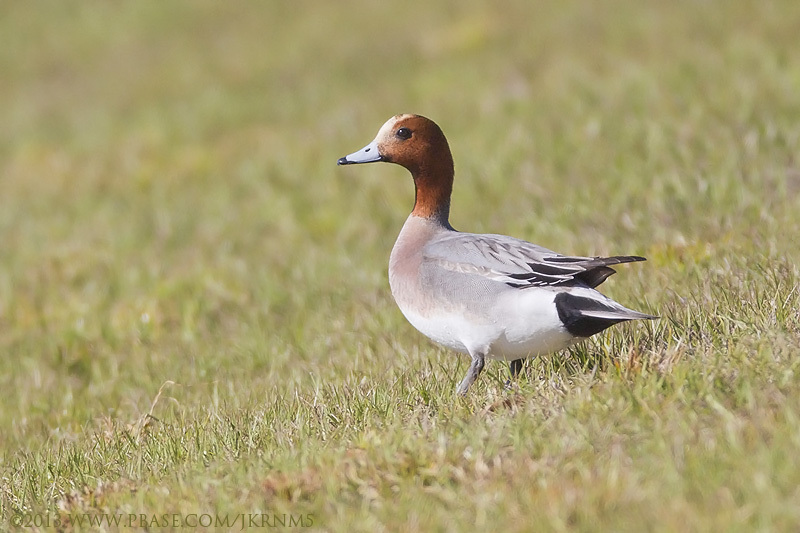 My friends Dr Jose Padilla-Lopez and Bob Pelkey were able to photograph the wigeon a short time after my visit. Hope it sticks around a few days. Bob Pelkey and I arrived at Merritt Island NWR about 8:15 and headed directly to the Blackpoint Drive. Here we were immediately greeted by a busy crowd of waders including Roseate Spoonbills and Wood Storks feeding behind the pay station. (MINWR is no longer a free venue). The first few stops were active with Lesser and Greater Yellowlegs, more waders including Reddish Egrets. Noted a few Hooded Mergansers as well. As Bob concentrated on his birding photography, I took the time to walk the road toward stop #3, which is were a cinnamon teal has been wintering. 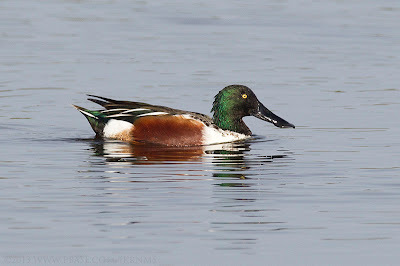 I dipped on the cinnamon teal but was able to observe a Sora, plus diving Forster's Terns, Northern Shovelers, Lesser Scaups, at least one Greater Scaup, Reddish Egret, a few Blue-winged Teal and American Coots. Stop #7 is the place for waterfowl. Most of the ducks were in the distance and the lighting was terrible. Mostly had Lesser Scaups and Coots. 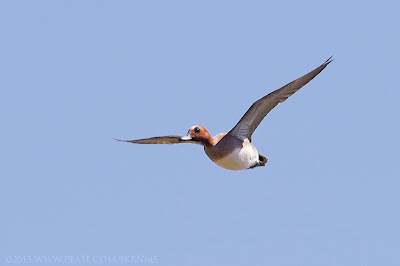 American Wigeons could be spotted as well. However it was very impossible to try to discern any eurasian wigeons in the poor light. A refuge employee put us onto the Peacock Pocket Road, so we headed there next. 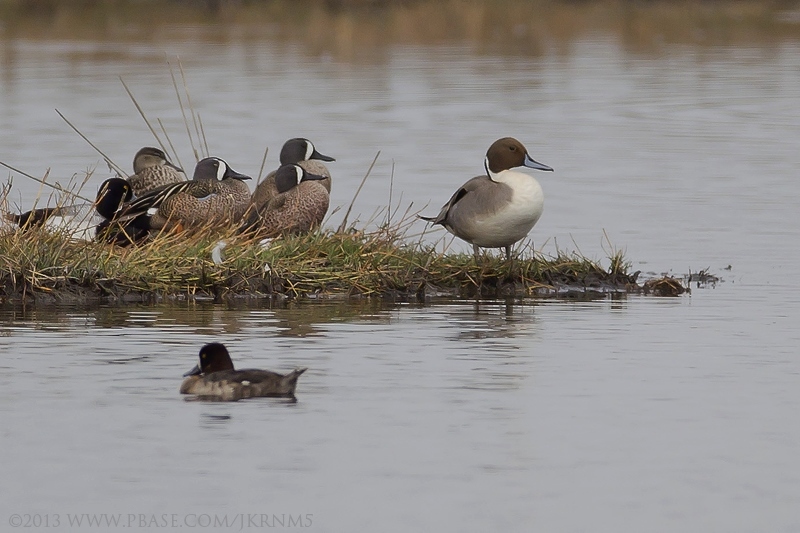 Here we finally a large concentration of American Avocets, plus Long-billed Dowitchers, Black-bellied Plovers, lots of Coots, Blue-winged Teal, Northern Shovelers, Lesser Scaups, a few Green-winged Teal and a lone Northern Pintail. 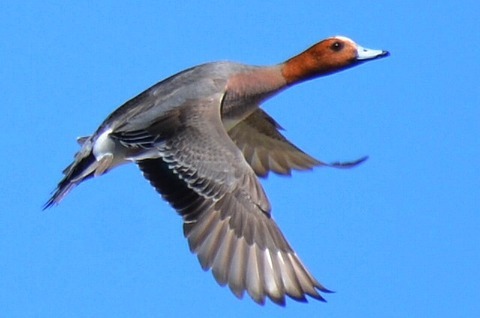 We again dipped on another cinnamon teal often seen here. I talked Bob into making a run along Bio Lab Road as he was anxious to move on to the Tamps Bay Sunshine Skyline Bridge to search for the Black-legged Kittiwake wintering at the fishing pier. So after a pit stop at the refuge headquarters, were a beautiful male Painted Bunting entertained the visitors at the feeders, we headed over to Bio Lab Road. Bio Lab was kind of dissapppointing. We did find several shore birds including Spotted Sandpiper, Semipalmated Plover, Short-billed Dowitchers, Dunlins, Willets, soaring American White Pelicans and swimming Red-breasted Mergansers. On another fresh-water pond we added more Hooded Mergansers. From here we made the drive across the state back to the Gulf of Mexico to seek the Kittewake. Our stop was at the South Fishing Pier of the Sunshine Skyway Bridge. We arrived with about an hour of sun light left for the day and actually thought we had missed our target. So as we were heading back to the car the Black-legged Kittewake was finally spotted. It spent most of the time we were there resting on the closed off section of the old bridge. So Bob got his shots. When my daughter and I visited here earlier in February, Common Loons were everywhere and I I had a very unsatisfying look at what could have been a razorbill. So no razorbill today, but I managed to spot a group of five loons swimming toward the new bridge. Other birds using the fishing pier included Browm Pelicans, Snowy and Great Egrets, Ruddy Turnstones, lots of Rock Pigeons, Royal, Sandwich and Foster's Terns, Herring, Ring-billed and Laughing Gulls. As the sun set we headed back to Ft Myers to end our three day road trip. It was a very good trip. Bob landed a lot of Lifers and took a few thousand pics. We did dip in virtually ever speciality I had targeted, but that just makes it necessary to plan a return to the panhandle next year. It was a bit disappointing to hear from the fella we ran into at the pay station at St Marks NWR. Apparently we arrived a bit too late in the season. Our new friend from Georgia advised that the birds were already thinning out. Bob Pelkey and I will just have to see for ourselves. We began exploring the forest around the visitor center and had four woodpecker species in five minutes. Along with the Yellow-bellied Sapsucker, Pileated Woodpecker, Downy Woodpecker and Red-bellied Woodpecker we had Tufted Titmouse, Carolina Chickadee, Ruby-crowned Kinglet, Brown-headed Nuthatch, Northern Cardinal, Eastern Towhee, House Wren, Carolina Wren, American Robins, Yellow-throated Warbler, Eastern Phoebe and Tree Swallows. Our scheduled visit at Florida Caverns State Park being dropped due to bad weather was disappointing as I had hoped on seeing brown creeper, golden-crowned kinglet, winter wren and rusty blackbird. These guys can be seen here at St Marks and we did look for them. But will have to return another time. As birdy as our first stop was, they were mostly in the canopy making it difficult for Bob's photography so we moved on. We were able to find a few sparrows - Swamp, Song and Savannah Sparrows, Eastern Towhees, Eastern Bluebirds and the usual waders that would pose for us. 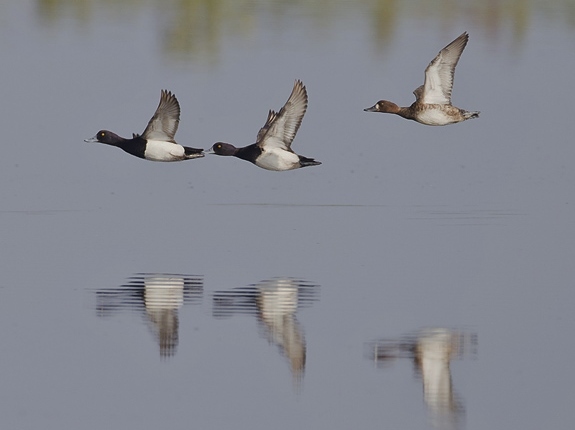 The impoundments were virtually waterfowl free. In deed the ducks were gone. Had a flock of American White Pelicans and a couple of Lesser Scaup. Our friend Vince McGrath recommended looking for white-faced ibis at Stoney Bayou. Stoney Bayou was empty. No ibis of any kind. 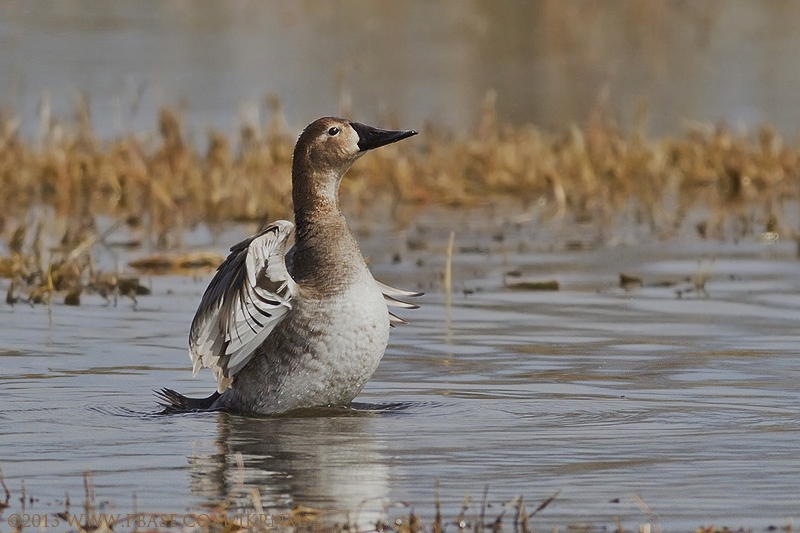 The most numerous bird were Yellow-rumped Warbler, which were found everywhere in the refuge. 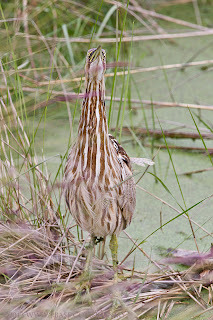 Did have rail pop-up, think it was a Virginia Rail. Finally at Headquarters Pond we had some activity. Pied-billed Grebes, American Coots, Common Gallinule, a Greater Scaup, Lesser Scaup, Redhead, Great Blue Herons, Great Egrets and other waders. Bob was busy photographing a couple of Sora feeding to the right of the observation deck and an American Bittern on the left. Lots of Yellow-rumped Warblers here plus a Brown-headed Nuthatch, Eastern Towhee and Tufted Titmice. 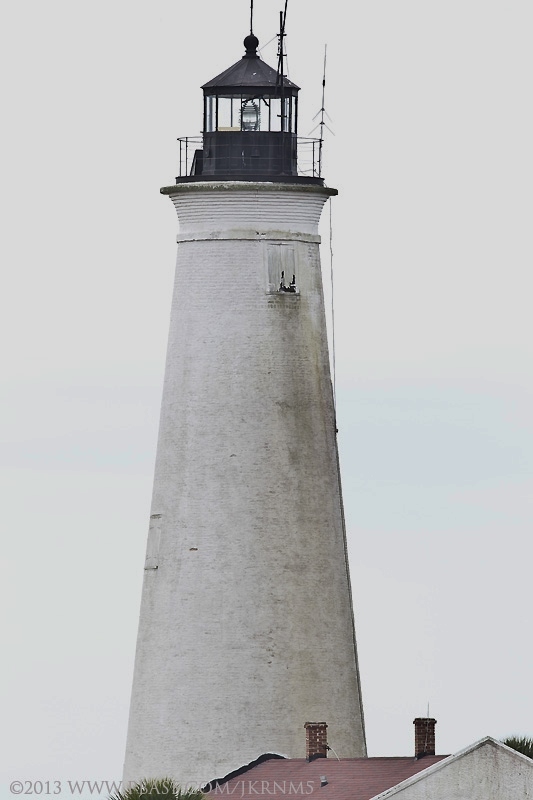 Finally reached the lighthouse about noon. Lots of Buffleheads in the surf, plus Red-breasted Merganser, Horned Grebe and Common Loon. Tried searching for any scoters or goldeneye in the surf. May of had some present, but needed a spotting scope. The Lighthouse Ponds were productive. Had a lot of Lesser Scaup here. 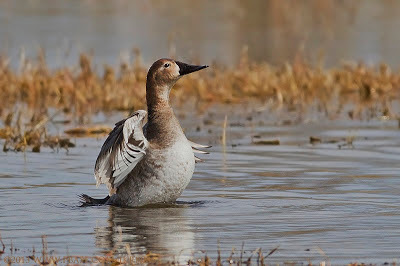 Several Ruddy Ducks were present, a couple of Canvasbacks, at least one Ring-billed Duck and a lone Gadwall. 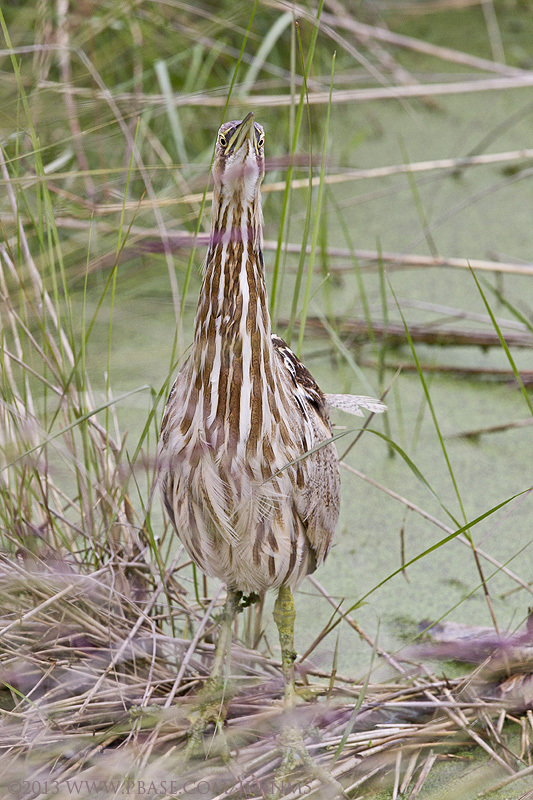 Clapper Rail could be heard in the salt marsh. 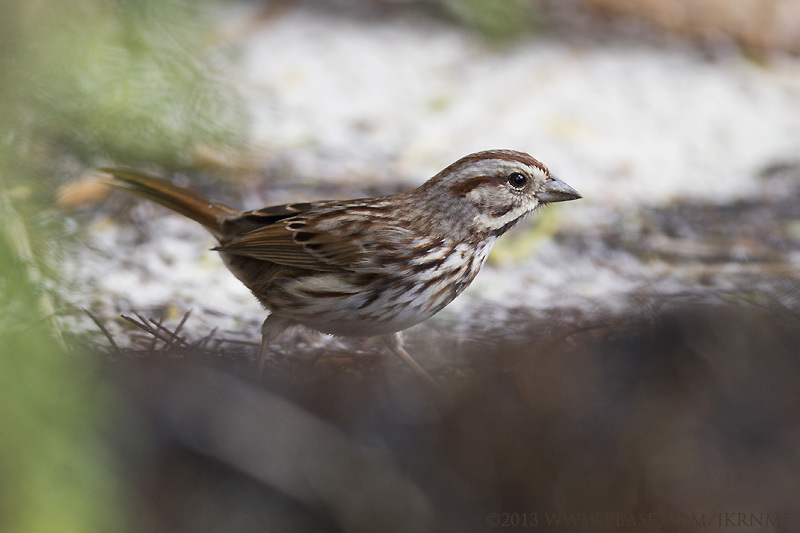 Searched the salt grass for any sharptail or seaside sparrow, did find Savannah and Song Sparrows instead. From here we retreated from the refuge ahead of the rain and headed to the Atlantic coast and Merritt Island NWR.